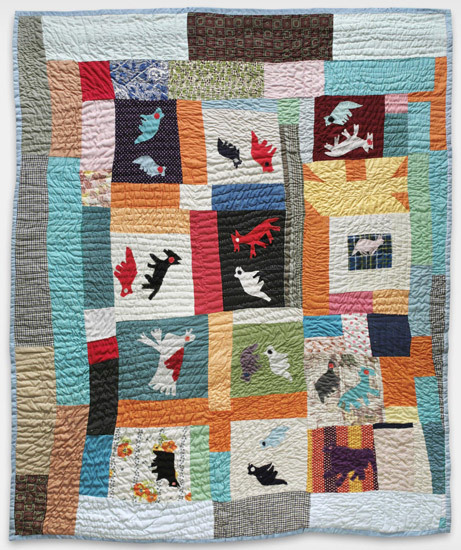 This lesson explores geometry and patterns in quilts. 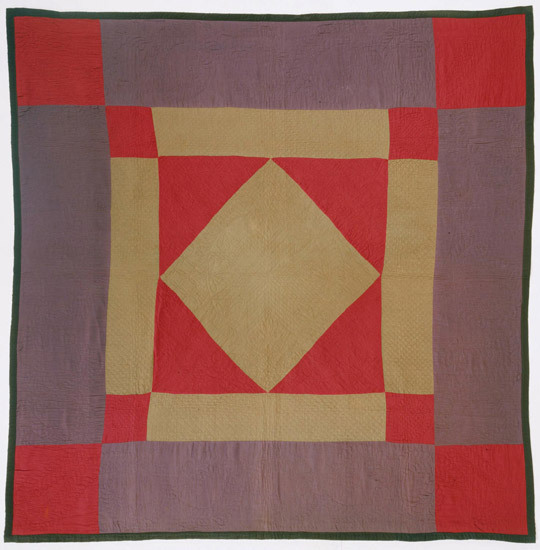 How have quiltmakers used geometry in patchwork quilts? How do shapes fit together to create new shapes and form patterns? What are some different ways of creating designs? The start of a new school year is the perfect time to review commonly used words and content-area vocabulary. This lesson goes beyond flash cards to reach visual and kinesthetic learners with a range of engaging activities. Students will be challenged to combine word meanings in three-dimensional “mash-ups,” interpreting language both physically and visually. The easily adaptable activities are a playful way to support language use and acquisition while also encouraging creative thinking. 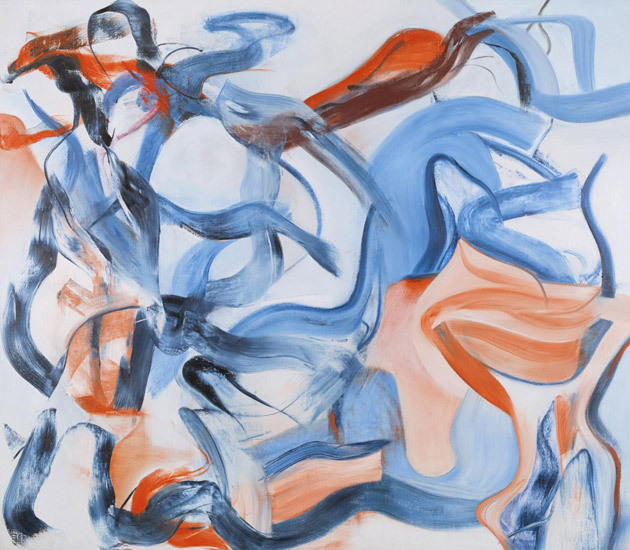 Whether in language or in visual art, engaging with abstract forms of expression can be intimidating. 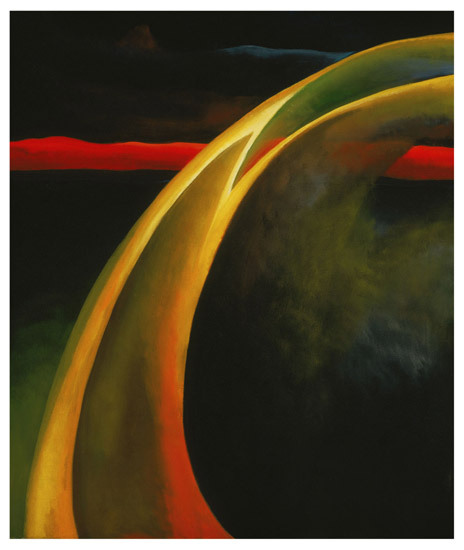 This lesson connects abstract art and poetry through a low-risk creative process that makes both forms of expression more accessible to all learners. 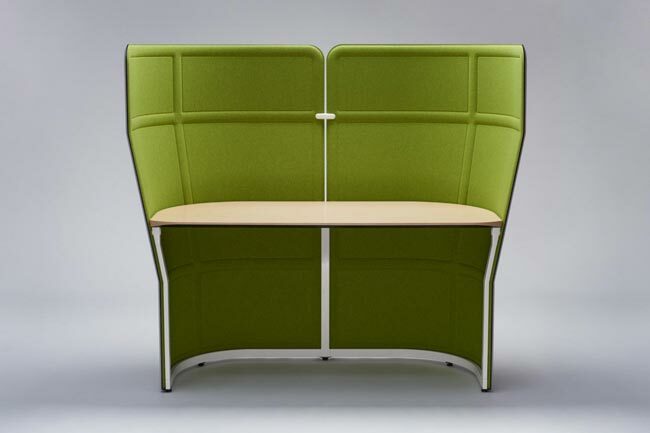 In this lesson, students apply their systems thinking to imagining a redesign of their own classroom workspaces. They first analyze the parts, purposes, and complexities of a classroom desk. They are then encouraged to think expansively about the opportunities for change in this familiar system before deciding how best to meet specific design constraints. By asking students both to imagine and to evaluate, this routine supports divergent and convergent, creative and critical thinking. The Agency by Design approach helps students develop a maker mindset through the practice of short, engaging thinking routines. These routines encourage students to closely observe their world, explore complex systems, and notice opportunities for change. In this lesson, artists’ depictions of physical and social systems become powerful tools for visualizing and empathizing with the human experience of designed environments. The Agency by Design approach helps students develop a maker mindset through the practice of short, engaging thinking routines. These routines encourage students to closely observe their world, explore complex systems, and notice opportunities for change. In this lesson, students focus on the human experience of systems, which can influence what individuals think, feel, and care about. 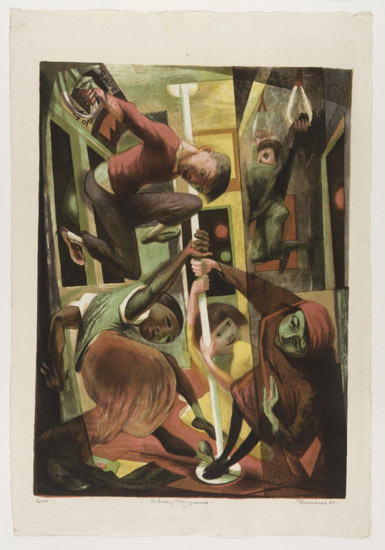 Students analyze artwork to imagine and adopt the diverse perspectives held by the characters depicted and begin to understand how position can change perception. 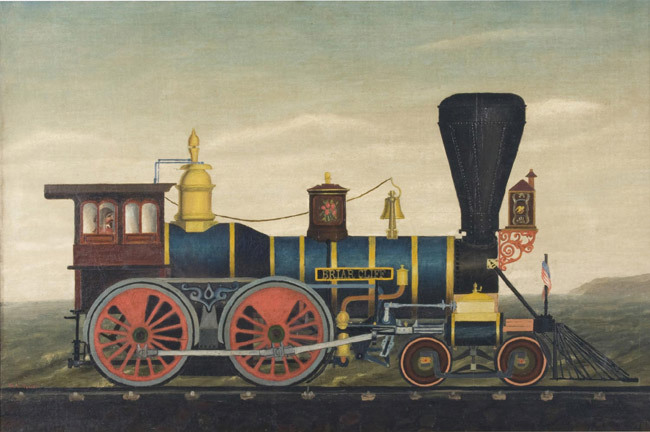 In this lesson plan, we will be learning about railroad transportation by taking a closer look at Locomotive Briar Cliff, a painting made around 1860 by W. L. Bresse, and connecting it with learning experiences to explore how a train works and transports people and materials. According to philosopher John Armstrong, “Reverie is the state of giving ourselves up to the flow of associations. 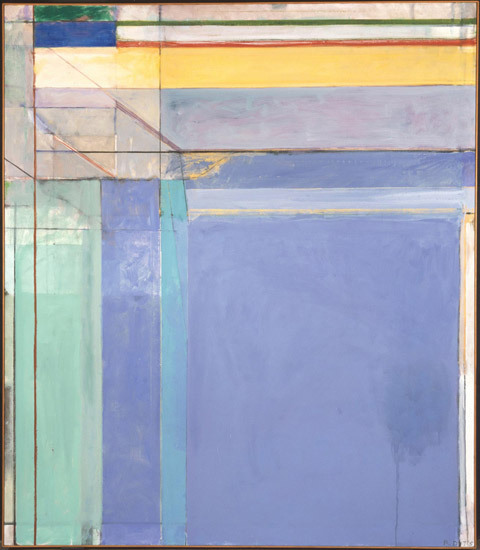 This state of letting something happen—a species of relaxation—is one we need to cultivate when we look at paintings or buildings. . . . Reverie is a mode of introducing personal material into a picture or building: it brings an abundance of thoughts and feelings into play. It also frees us from merely following routine assumptions. . . . Reverie operates at the root of thinking: it is essential to the creative process in which we come to make thoughts for ourselves.” In this lesson, students are encouraged to contemplate art and make associations to prior experiences and memories in order to construct meaning that is both personal and original. Through writing, students record their ideas and understandings to be shared with others. The golden rectangle is a geometric concept found in many aspects of the natural world as well as in architecture, art, and popular culture. This lesson is designed to be part of a geometry curriculum discussing the mathematical and aesthetic qualities of basic shapes, and of their use in society and nature. The Artful Thinking approach, designed by Project Zero at Harvard University, teaches students how to think critically through the use of simple routines that guide them to develop processes for observing and analyzing art. The art is a force for developing thinking skills and thinking dispositions that students can then apply across the curriculum. In this lesson, students look at iconic American symbols from the diverse viewpoints of the users and stakeholders connected to them. They also consider their own relationship to the symbols, reflecting on experiences, feelings, assumptions, and opinions. Recognizing multiple perspectives helps learners understand that people may see things very differently depending on their relationship to an object or system. The Artful Thinking approach encourages active looking and learning through the practice of short, simple thinking routines. These routines help students to focus on specific aspects of an artwork and to organize their observations and ideas. The repetition of thinking routines across subjects and disciplines supports students in developing not only the skills for inquiry but also the habits of an inquiring mind. This lesson combines and scaffolds two thinking routines. The first focuses on observation and description, and the second on connection and comparison. It can be used in any context in which you want students to develop descriptive language and metaphorical thinking and to practice reasoning from evidence. Help students build an understanding of multidimensional topics, like cultural practices, through a routine called Parts/Purposes/Complexities. Students identify the parts of an artwork/artifact, and then analyze how each part works and relates to other parts. They also consider ways in which the object, its parts, and its presentation/use are complex, complicated, or puzzling. Recognizing complexity can encourage students to grapple with challenging ideas and guide them toward deeper understanding and insight. 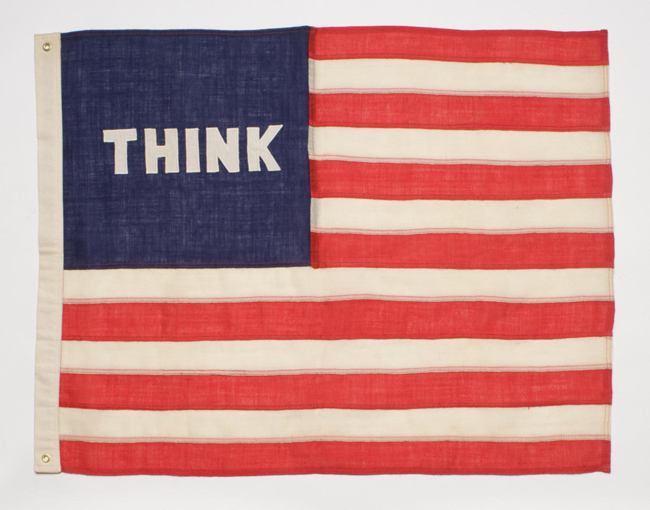 The Artful Thinking approach, designed by Project Zero at Harvard University, teaches students how to think critically through the use of simple routines for observing and analyzing art. In doing so, the visual arts becomes a force for developing thinking skills and dispositions that students can apply across the curriculum. The Elaboration Game encourages students to look deeply at a work of art. The goal is to facilitate careful observation and the ability to communicate effectively what is observed. After close observation provides a depth of information and insights, interpretation of what the student has seen is enhanced. Students will be asked to work in small groups to observe and then to build on those observations. Assessment can be through extended discussion or through writing. Formulating compelling questions for investigation is essential to historical inquiry. Artists who have been eyewitnesses to history often interpret their experiences through metaphorical, ambiguous, and multi-layered images. This naturally encourages students to wonder, question, and make powerful connections. Think/Puzzle/Explore is a routine that prepares students for deeper inquiry. It provides a framework for assessing prior knowledge and turns students’ innate curiosity about artwork into compelling questions and authentic motivation for learning. Artful Thinking: What Makes You Say That? The thinking routine called “What makes you say that?” is designed to encourage deep observation, followed by an explanation of support that is the basis of critical thinking. Building explanations for observations promotes evidence-based reasoning. Further, listening to the reasoning offered by classmates allows students to understand alternatives and multiple perspectives associated with 21st Century Learning Skills. This lesson also scaffolds to a more sophisticated version of the strategy, asking students to make a claim from their observations, support that claim, and develop further questions from their preliminary work. This lesson, although aligned with Career, Art, and Twenty-First Century standards, can be easily adapted for any core subject area. One of the skills highlighted in the Common Core State Standards for mathematics involves generating and analyzing patterns and pattern relationships. Islamic art made for a religious purpose or setting does not include images of people, and often focuses on intricate geometric designs. 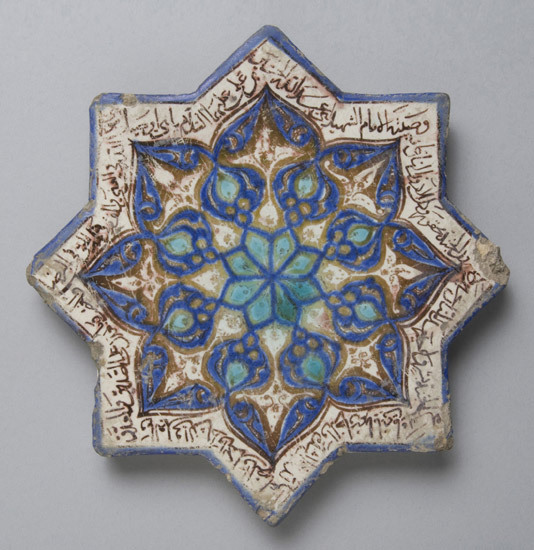 A close look at Islamic art provides an opportunity, not only for the reinforcement of these Common Core skills, but also for a glimpse inside this important culture. 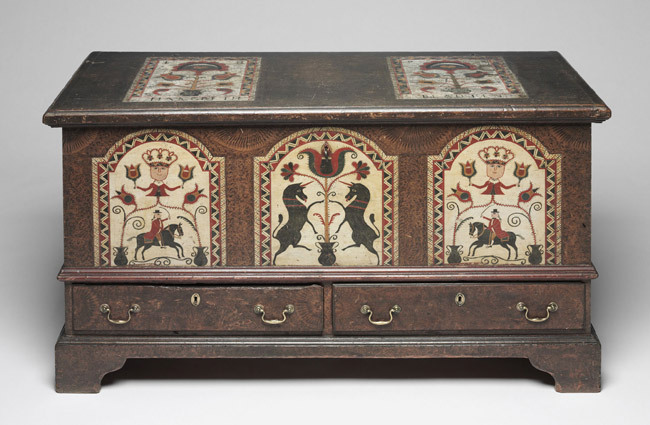 Looking at artworks and cultural artifacts from the past can help students develop their chronological reasoning. Even the youngest learners can begin to understand change and continuity over time by comparing their personal experiences to images and objects representing the past. In this lesson, students observe, ask questions, and make personal connections to describe how life today compares to life in previous eras. They also practice reasoning to explain why cultural practices might change over time, and imagine how life might look in the future. A cornerstone of the Framework for 21st Century Learning is the assertion that how children learn is equally as important as what they learn. Content knowledge alone does not prepare students for success in work, life, and citizenship. They also need practice thinking creatively and critically, solving problems, communicating their ideas effectively, and collaborating with others. This lesson addresses the challenge of how to teach those essential cognitive and social skills in the elementary years. Taking the lives and work of two artists as models, students observe and describe examples of creative problem-solving and collaboration. They then synthesize their learning by working together to create original artworks inspired by the artists’ examples. In this lesson, students will practice critical and creative thinking skills such as looking closely, imagining possibilities, seeing from multiple perspectives, and trying multiple solutions to design a creature that fits the environment they imagine in a work of art. Descriptive writing vividly portrays a person, place, or thing in such a way that the reader can visualize the topic and enter into the writer's experience. The best writing engages our five senses, and nothing provides as rich an opportunity for sensory engagement as art. 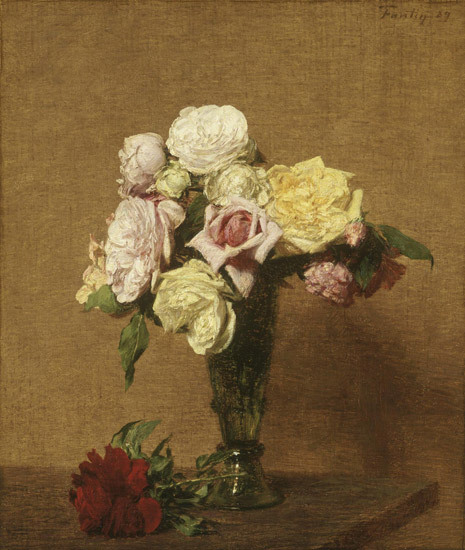 This lesson is designed to help students recognize sensory details in works of art and incorporate these details into their writing. 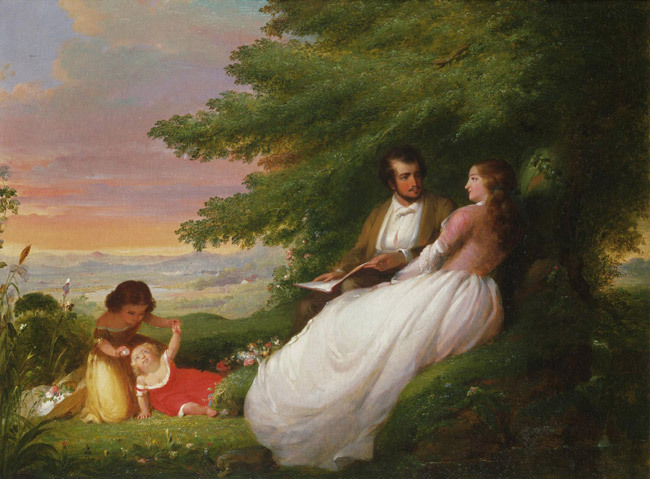 While biographers and historians are guided by actual events, artists and writers can select those details that suit their purposes, specifically to develop character, tone, conflict, and theme. 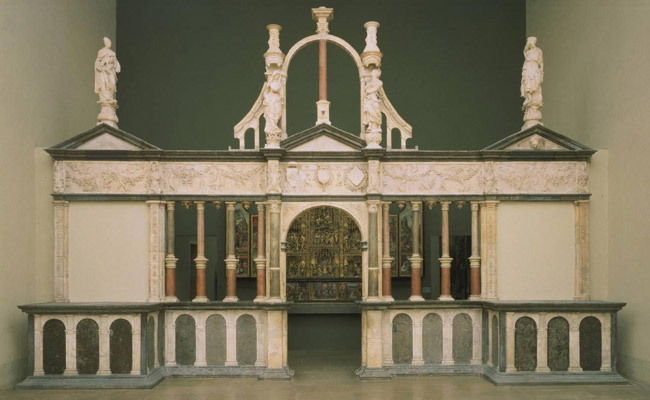 The elements and principals of art and design, and how they are used, contribute mightily to the ultimate composition of a work of art—and that can mean the difference between a masterpiece and a messterpiece. This lesson guides students toward a deeper understanding of the concept of area and its application to realworld problems through an investigation of Japanese screens. 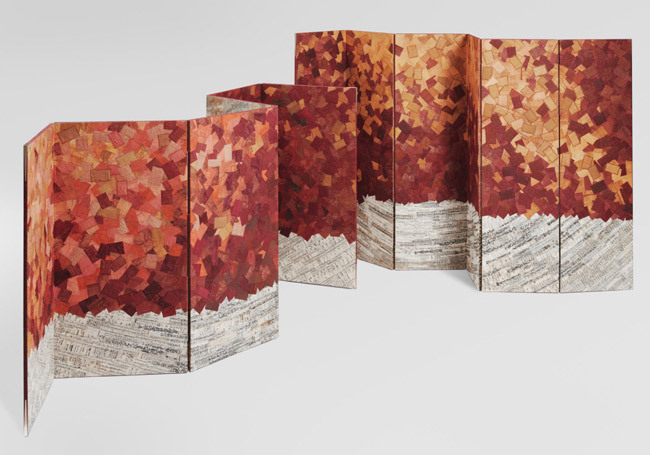 The folding screen was a creative, infinitely adaptable solution to the problem of delineating private and public space in elite Japanese homes, palaces, and temples built along open interior plans. Traditionally made in coordinating pairs, screens present unique design challenges as both functional and decorative objects. That design challenge is the starting point for a hands-on investigation at the intersection of art and math. Do we control Nature, or does Nature control us? In 1970, 20 million people celebrated the first Earth Day. At that time, only about a third of the nation’s streams were safe for fishing or swimming, and major cities across the U.S. were often hidden under clouds of smoke. Since then, the successes and challenges represented by Earth Day have centered on one question: Do we control Nature, or does Nature control us? 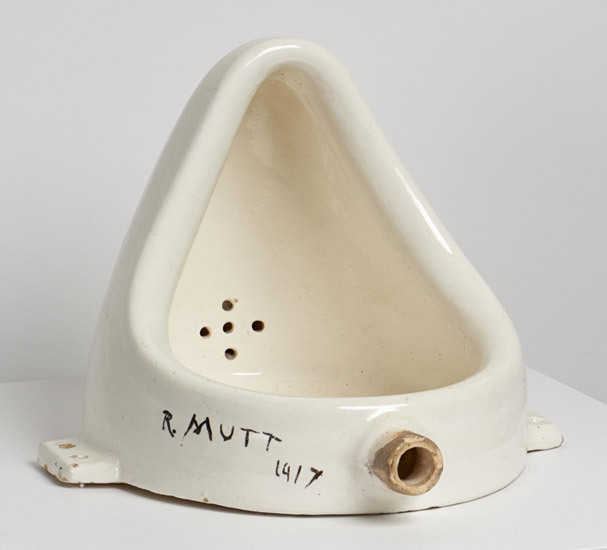 Today, a century after Duchamp both shocked and delighted his peers, we still debate what constitutes art. 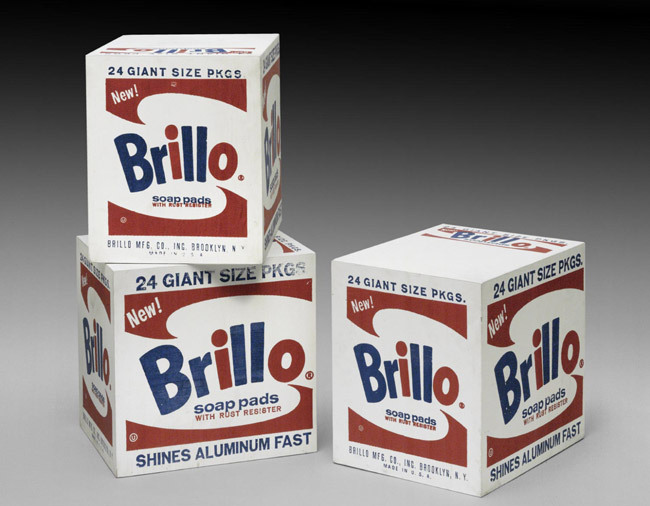 This lesson encourages students to challenge first impressions and their own ideas about art by providing a context for the iconic readymade. 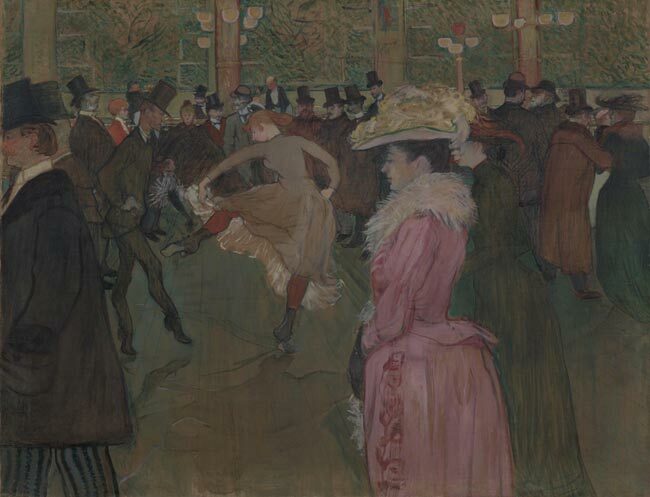 By reading and reflecting on information about the Fountain scandal and Duchamp’s larger body of work, students will gain deeper understanding and insight. 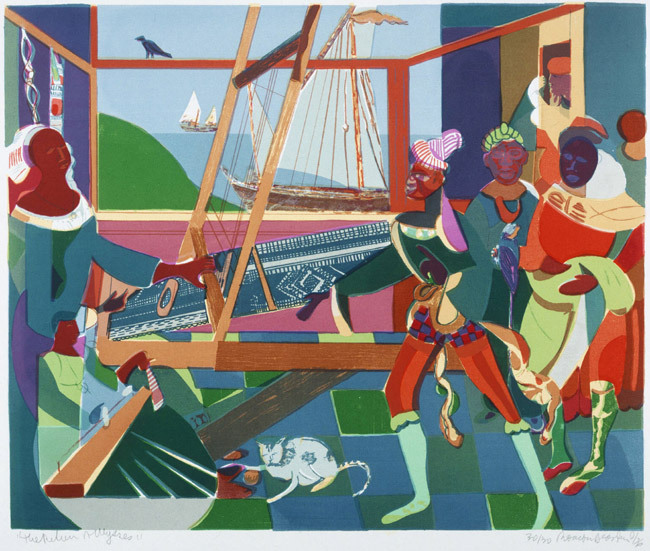 In this lesson, students will work in the opposite direction and use their skills in poetry to examine and interpret works of art. 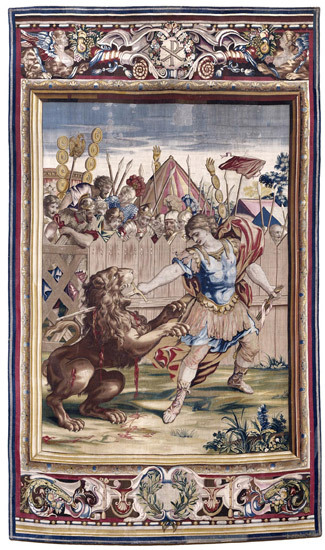 The Philadelphia Museum of Art’s Constantine tapestries represent thirteen iconic scenes from the life of the Roman Emperor Constantine (around 270–337 CE). Each tapestry is filled with detail and drama, and offers an opportunity to witness the ability of art to tell a story. 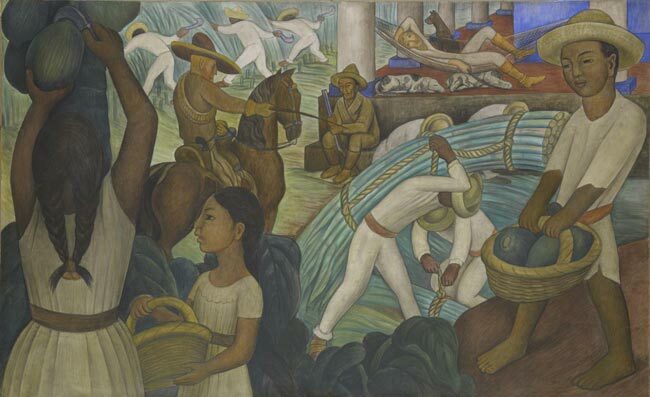 This lesson, designed for a Language Arts classroom, grades 4–8, uses a structured poem (the diamante) to examine contrasting story elements in narrative art. 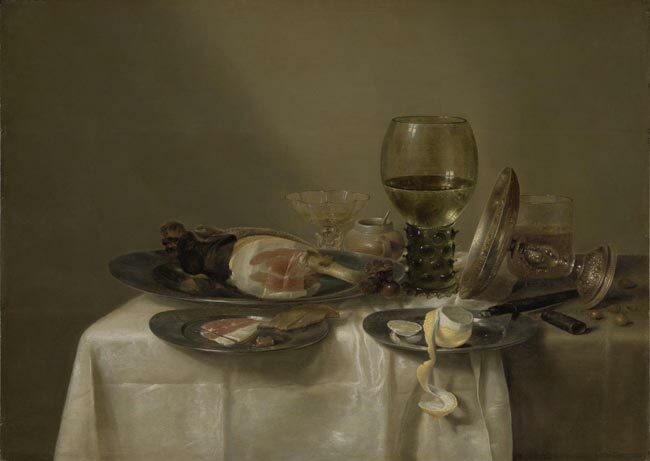 Though we may not actually be able to feel or hear the objects and scenes depicted in a painting, artists often invite us to use a variety of our senses when we explore a work of art, encouraging us to imagine the textures, smells, and even tastes of what is depicted. The more questions we generate around a problem, a text we want to explore, or a work of art, the richer our exploration and the answers we come to can be. 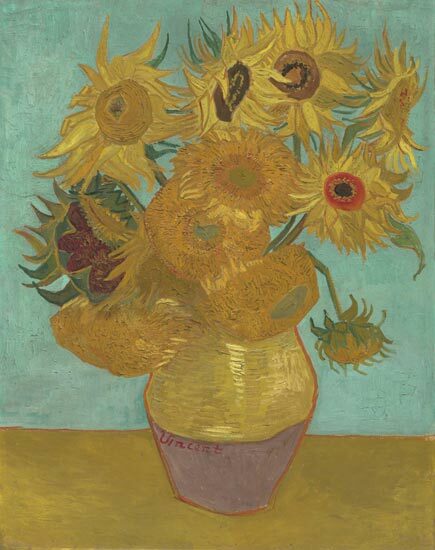 This activity encourages students to build habits of mind around creative questioning as they work to generate multiple questions about a work of art and then use those questions as a basis for discussion. In recent years graphic novels have gained mainstream attention for their ability to tell rich, complex stories in a unique way. Books like Art Spiegelman’s Maus showcase the power of the medium to combine powerful dialogue with rich visual metaphors. Comic books are a creative way to engage students in the art of storytelling, decision making, and critical thinking. In this activity, students will be introduced to the basic language of comic books. They will explore the way comic artists use the sequential art that combines text and images to tell a story. Discussion and exercises will lead each student toward creating an original, three-panel comic strip. 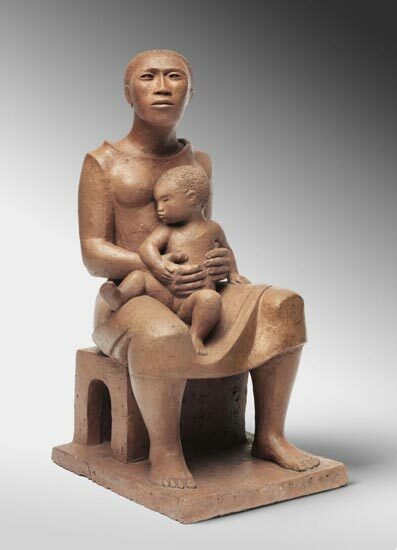 Sculpture is an art form that, unlike painting, printmaking, and photography, exists in 3-dimensional space. Most sculpture can be explored from all sides. 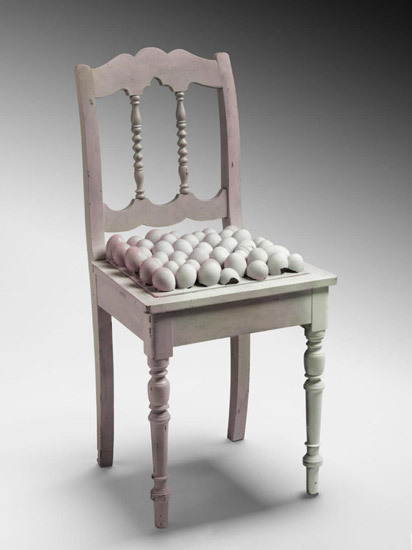 This 3-dimensional aspect challenges the artist and offers a new set of opportunities for expression. This lesson is meant to introduce students to some of the more common forms of sculpture, as well as to a few of the terms used for description and discussion. Over the centuries, many different formulae have been created to describe the proportions of the human figure. To prepare for this lesson, ask students to bring in full-length magazine photos of people. Do people follow a "design pattern"? Is there a formula that can describe a how a human should appear? Is there art in nature? What is the nature of art? While universities, most K-12 schools, and probably most people see a logical division of knowledge into the Arts and the Sciences, does this separation allow us to better understand our world – or does it get in the way of understanding? This lesson, designed for use in a science classroom but with clear applications to the humanities, examines and challenges the sometimes artificial lines we have drawn between the Arts and the Sciences. 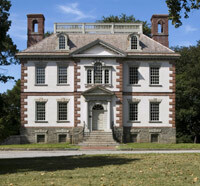 In this lesson, students study and interpret primary sources, including both objects (a historical house and a miniature portrait) and documents (a 1767 tax assessment and an excerpt from a 1769 issue of The Pennsylvania Gazette). Through these sources students examine the experience of enslaved people of African descent and ship captain and slave owner John Macpherson (1726–1792) at Mount Pleasant in the colonial era. 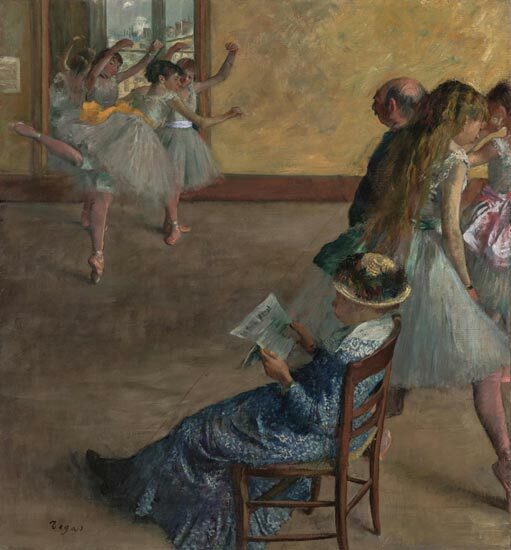 Whether looking at a work of art or reading a text, students often rush over the images or words to make quick decisions about what they see and what is going on. 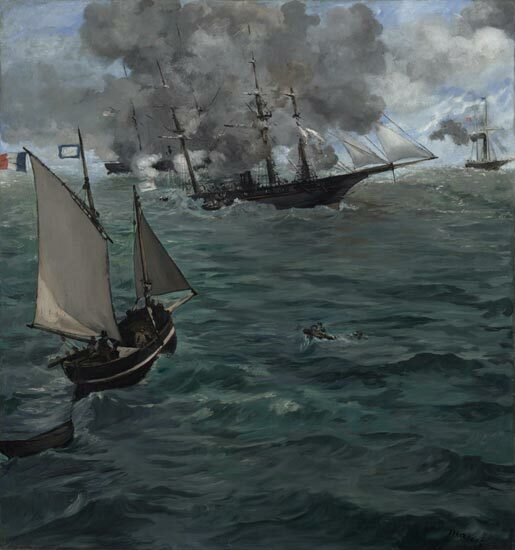 This lesson plan challenges students to look carefully at small squares of a picture that has been cut up to slowly make inferences/predictions about what the work of art might look like. Students start from their single square of the picture and then team up with other students to build their understanding as more squares and parts of the picture are revealed. 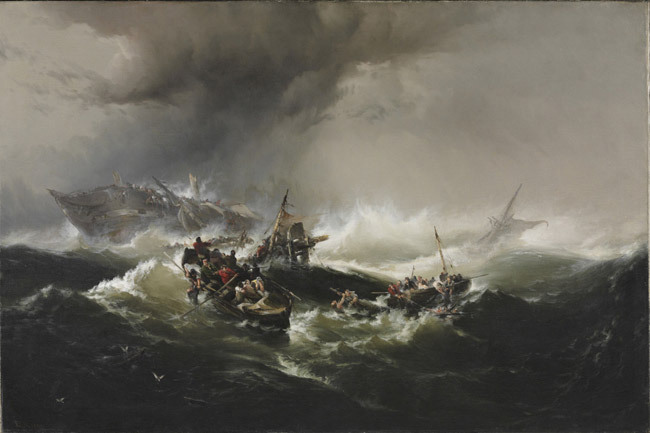 Throughout history, artists have created visual images inspired by stories. 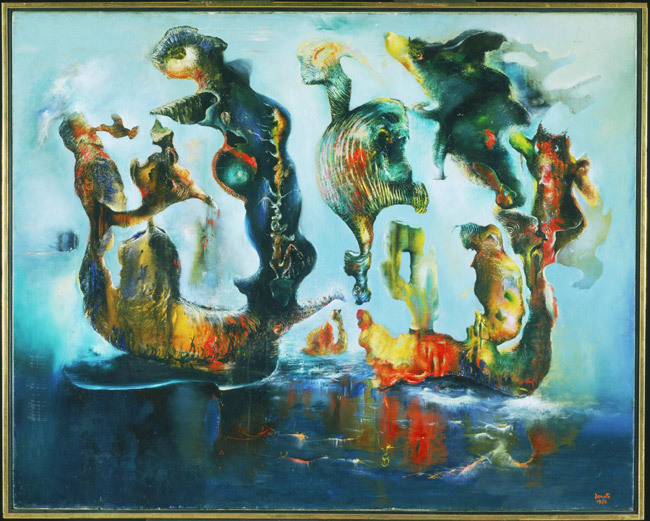 Each new version is at once personal and universal, innovative while still connected to tradition, and unique in the way that it reflects the artist’s influences. 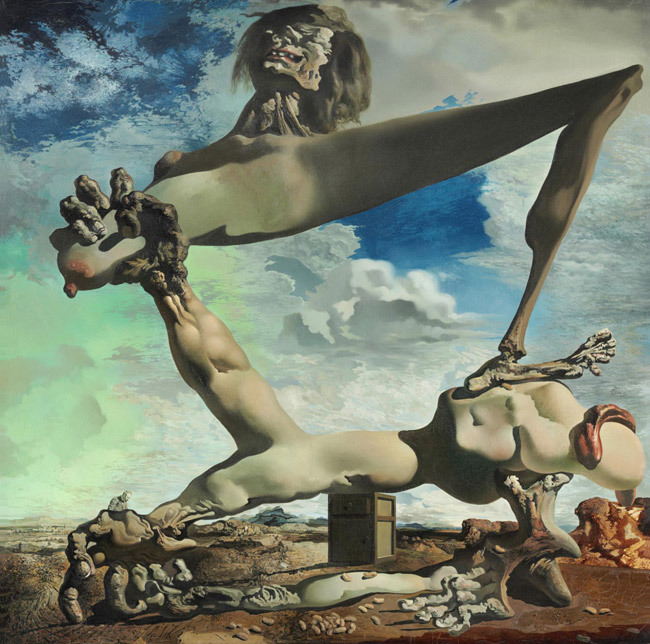 This lesson guides students to look closely at two works of art that depict scenes from the same archetypal story in significantly different ways and to analyze how each artist reinterprets the story to make it his own. 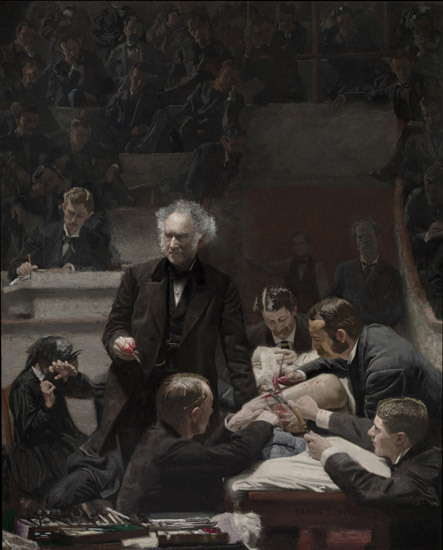 In this lesson plan we will uncover medical history by comparing Thomas Eakins’s The Gross Clinic, begun in 1875—which shows Dr. Samuel Gross, a surgeon at Jefferson Medical School, operating on a young boy suffering from osteomyelitis—with images of modern-day surgery. 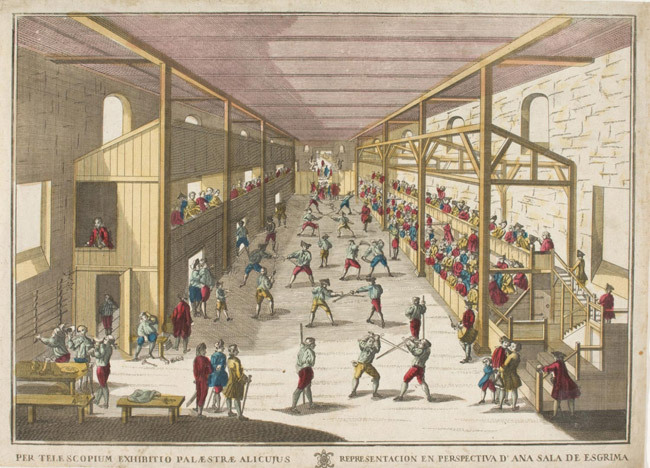 The Industrial Revolution was not fought between armies and governments—although there were periods of violence. From the late 1700s through th e early 1900s, every aspect of day-to-day life in Europe and the United States was affected by changes in industry, transportation, and manufacturing. People from this era were often shocked by what seemed to be constant changes in their lifestyles, influencing how they viewed the world around them. Writers often reflected on these changes and artists frequently incorporated industrial influences into their creations. Building confidence in the appreciation and analysis of works of art sometimes involves viewing those works with new or novel approaches. 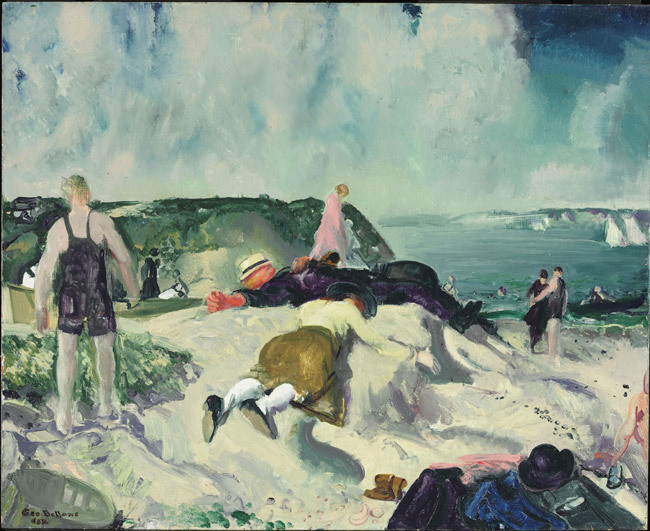 This lesson begins with the assumption that students have some experience observing and interpreting works of art in areas of composition and theme. 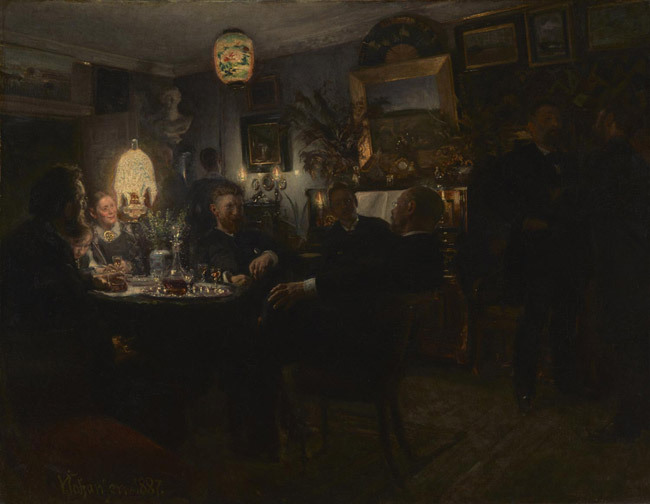 The teacher in this lesson should allow students to independently engage with the selections as much as possible, and guide class discussion to those questions that naturally arise in a close observation of works of art. The goal here is not the critical analysis of art, but rather the product which emerges from that analysis. Students will use their understanding of these works to create character sketches, plot summaries, and music play lists. This thinking routine supports students in developing meta-cognition, or thinking about their thinking. 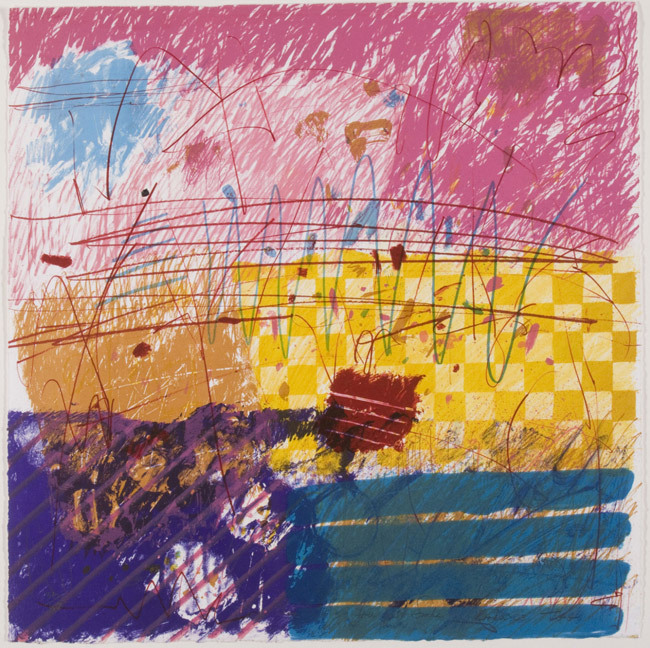 It encourages students to express their impressions of and assumptions about an artwork and identify the details that contribute to those impressions. They will not only make meaning from what they see but also develop awareness of how that meaning is constructed through visual evidence. This thinking routine allows students of any age or level to practice inferencing and evidential reasoning, essential learning skills across the curriculum. This guide is intended to help teachers navigate the complex ideas and questions amplified by Philadelphia Assembled with their students. 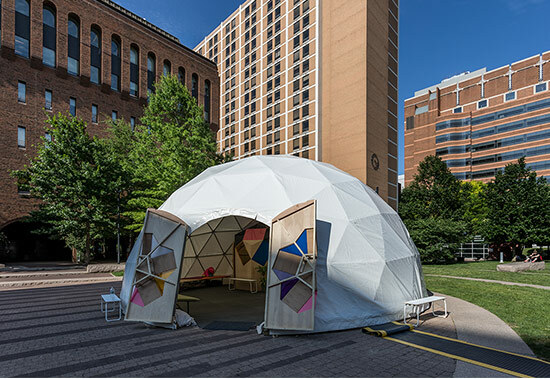 Through drawing, writing, and discussion activities, students will create personal connections to the landscape of a city being reimagined and redefined daily. 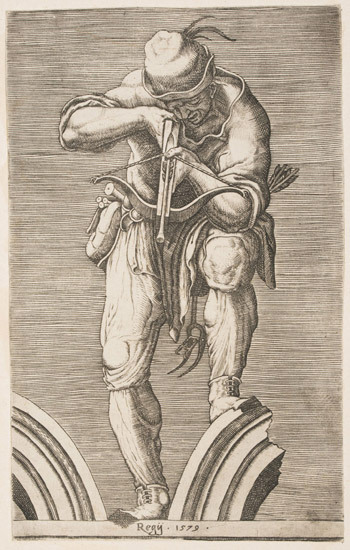 This lesson plan explores kinetic and potential energy in relation to a tool familiar to knights and soldiers of the middle ages and early Renaissance: crossbows. What is kinetic energy? What is potential energy? At what point in a reaction does an object possess kinetic or potential energy? The design of swords uses the concept of center of mass to create a functional weapon that protects the user. Through this lesson, students will engage in an inquiry based science lesson using the Physics in Art app to learn about and apply the concept of center of mass. By the end of the lesson, students will be able to explain and demonstrate the application of the concept of Newton’s Third Law by completing the guided notes while using the Physics in Art app and experimenting with center of mass in a lab. 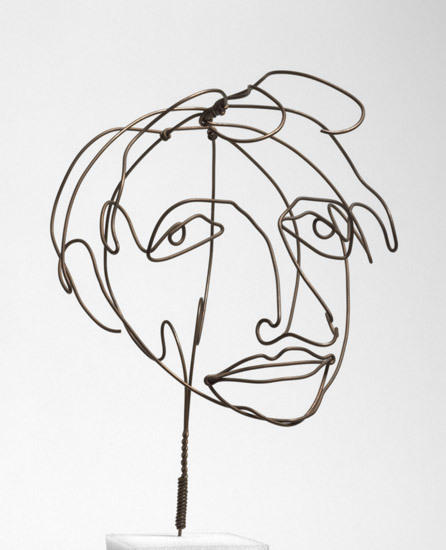 In order to create his mobiles, Alexander Calder needed to use his understanding of torque and rotational equilibrium. 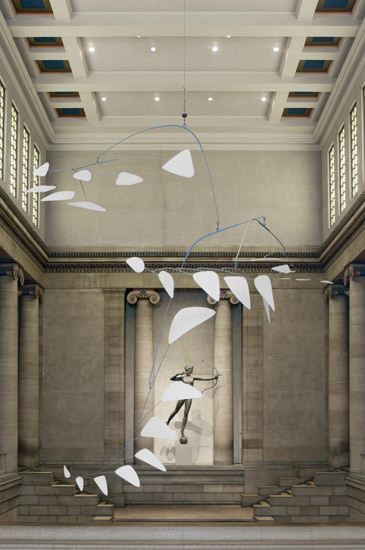 In this lesson, students will use the Physics at the Art Museum app as a starting point to explore these physics concepts—as well as build an understanding how they allowed Calder to create his balanced mobiles. In addition, students will create a diagram of a mobile with three horizontal arms, and will explain why the design will achieve rotational equilibrium. 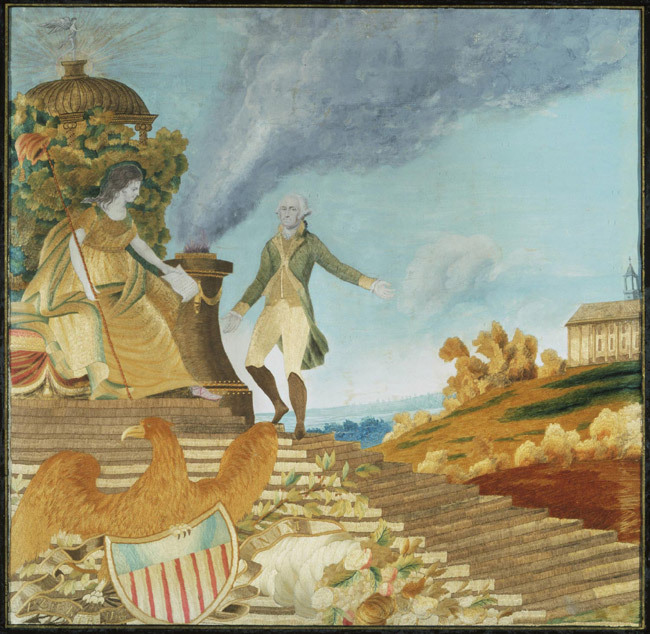 The power of women is a common theme in art, and this lesson examines that theme using images from the National Endowment for the Humanities (NEH) Picturing America resource in addition to objects from the collection of the Philadelphia Museum of Art. 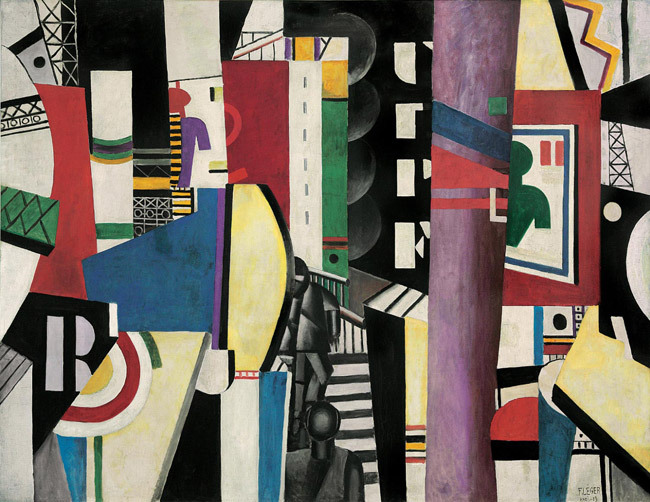 The works in this lesson also promote the social agenda of the artist. Students explore connections to social issues and learn how each artist uses details to reveal inner strengths through their subjects. World leaders are, and always have been, larger than life, and for thousands of years, governments and statespersons have been keenly aware of the power of symbols to express complex beliefs, values, and ideas. This lesson explores how artists employ symbols to speak of the greatness of America’s premier founding father, George Washington. Students will examine several depictions of our country’s first president, focusing on the artist’s use of symbol. 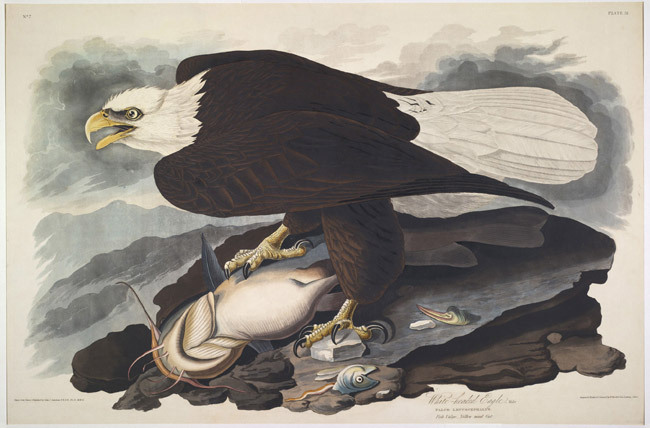 Before the Discovery Channel and before National Geographic magazine, there was artist/illsutrator John James Audubon. The lifework of Audubon focused primarily on the wildlife of North America, with a particular interest in ornithology, the study of birds. In his monumental volume Birds of America, Audubon seamlessly blended art and science. In each of his 435 illustrations, he depicted not only an animal’s physical appearance and habitat, but also its spirit and character. In this lesson students will explore two works featured in Birds of America that capture the beauty and ferocity of American wildlife. A portrait can communicate volumes about the sitter’s identity beyond physical appearance. Through the careful organization of elements such as costuming, props, setting, and pose, artists reveal the depth and complexities of their subjects’ personalities. This lesson develops an awareness of how individuals express their identity through their outward appearances, and guides students through the critical thinking skills of deductive reasoning and forming conclusions. Benjamin Franklin has been regarded as one of the greatest minds of his age. Throughout his life, Franklin enjoyed international acclaim for his ideas, inventions, and personality. In death, this fame quickly rose to mythic proportions. 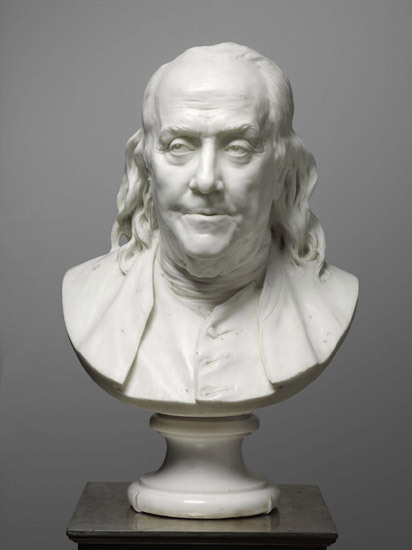 This lesson challenges students to examine the birth of Franklin’s legend by comparing portraits and sculptures that were created both during his life and after his death. The African American experience is a complex story populated with heroes and dramatic journeys. 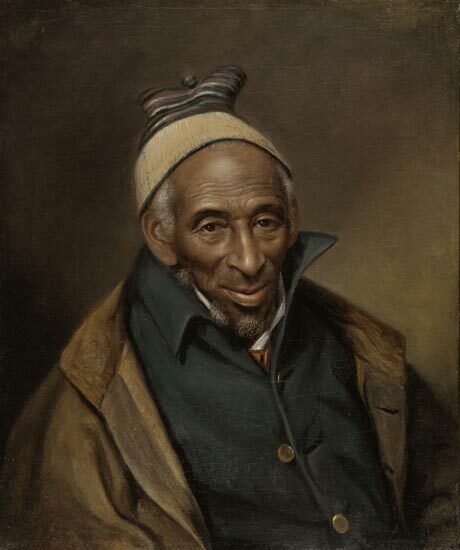 This lesson explores three stories from history: the artistic contributions of the potter David Drake; the rich and interesting life of Yarrow Mamout; the heroism and bravery of the Fifty-fourth Regiment from Massachusetts and their commander Colonel Robert Gould Shaw; and the individuals who participated in the Selma-to-Montgomery march for voting rights in 1965. 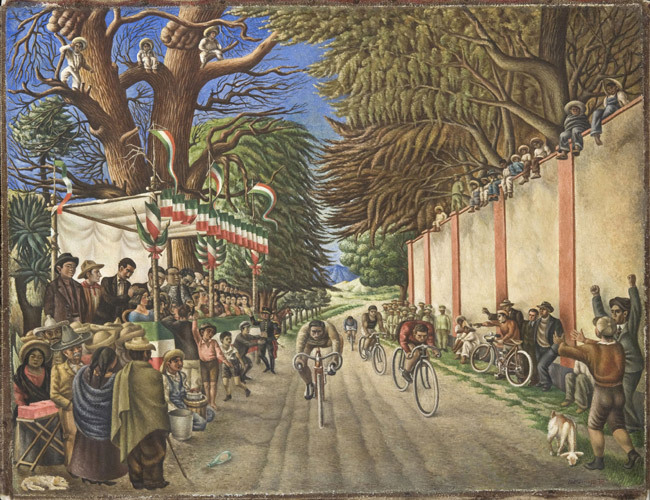 Students will see how artistic works offer insights into the people and events of history. Historical periods or moments can be appreciated in many forms. A video clip or audio file provides context, as does a well-documented historical text. Works of art can also provide a lens into the past, documenting events and issues of the time through the eyes of the artist who produced it. 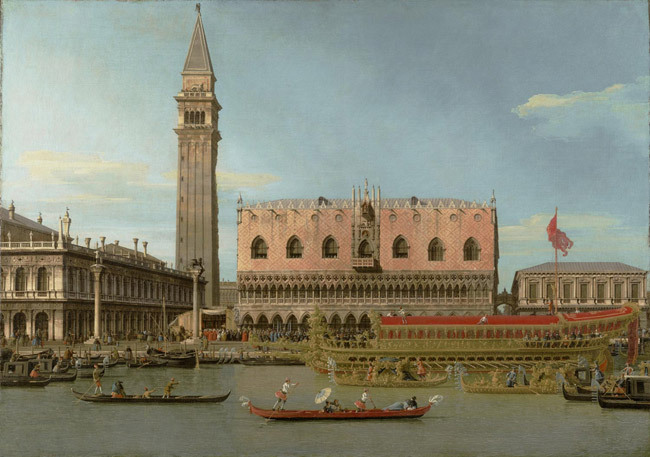 This lesson compares paintings that commemorate similar historical periods, allowing the student to note similarities and differences through the eyes of the artist. 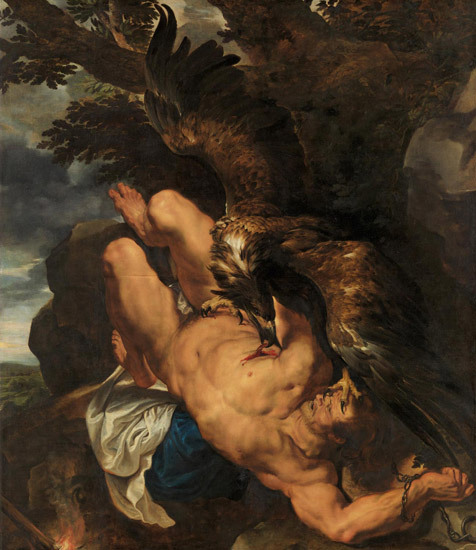 Mankind’s struggle for dominance over nature is a universal theme that has resonated with people throughout history. 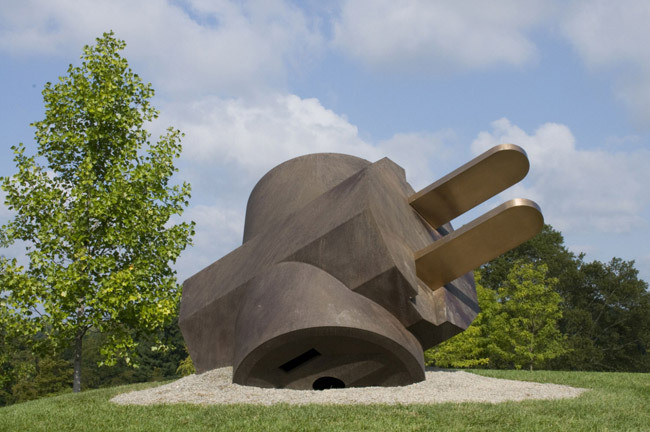 Whether linked to a specific belief system, geographic area, or culture, views about this relationship are ever-changing, and have often been addressed by American artists. 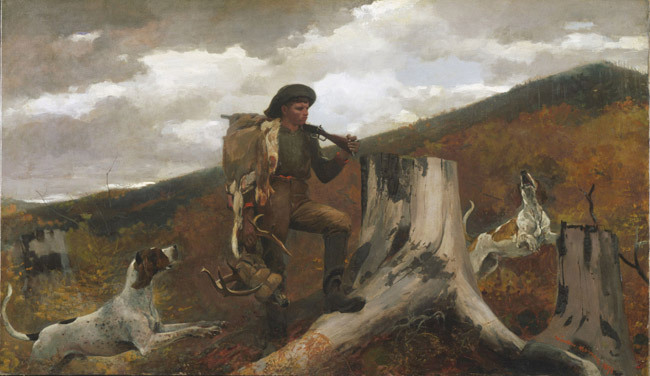 This lesson explores the complex relationship of man in the natural world. Students will discover those details in artistic composition that reveal the artist’s views and compel the viewer to consider greater truths. 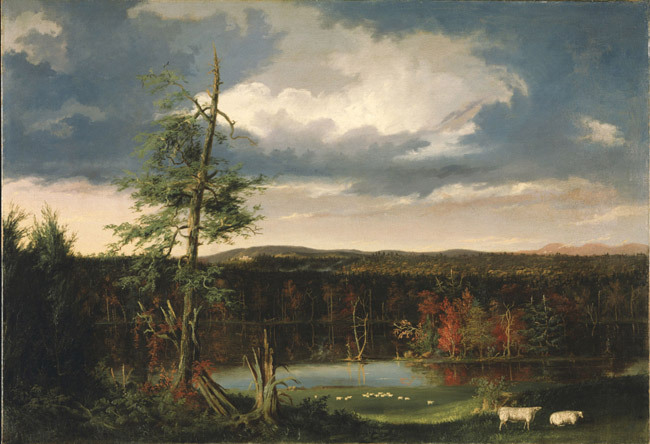 Since the early days of the United States, American artists have depicted their nation’s landscape as an iconic motif. 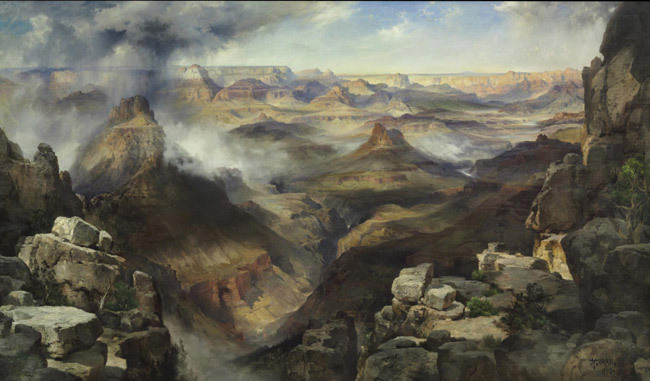 Following westward expansion of the nineteenth century, artists, too, began to settle their gazes on the unexplored terrain of the American West. 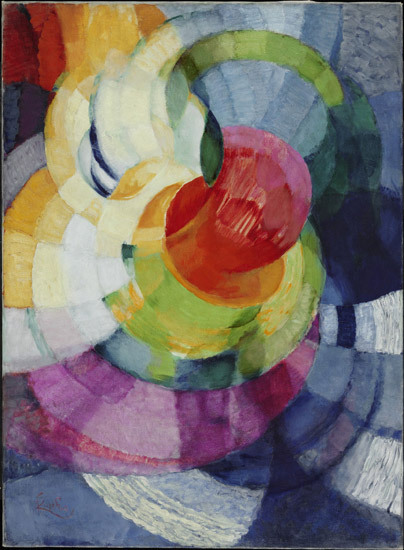 By the twentieth century, the emerging visual language of abstraction provided new ways for artists to depict the world around them. 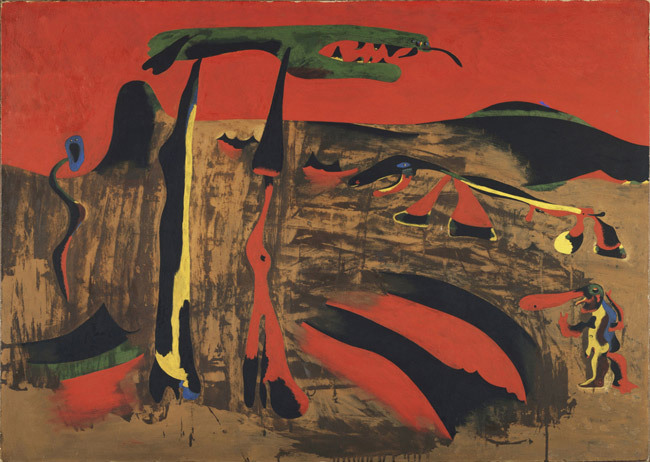 This lesson examines two key works of American western landscape and guides students through the process of responding to abstract art. A podcast is an audio program made available in digital format for download over the Internet. 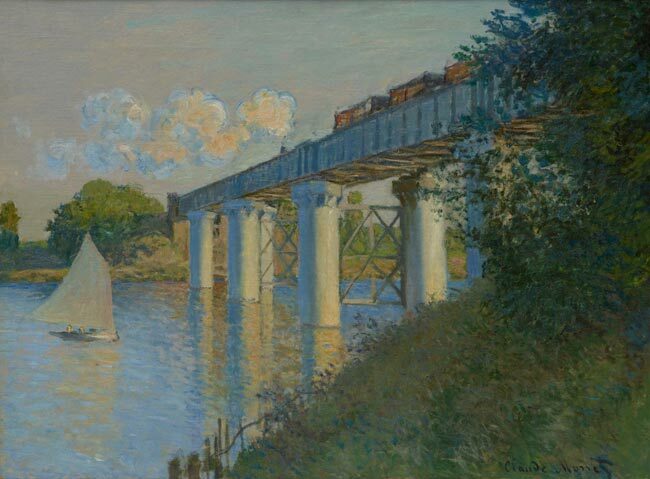 This lesson plan instructs students to develop an audio tour telling a story about a work of art. Writing and recording a podcast can help students become better writers because, unlike more traditional projects, they can hear the flow of their words and ideas. Using technology to share their work engages students and encourages peer review. Podcasting about art also builds many common core skills by challenging students to observe, inquire, infer, describe, conclude, revise, produce, and publish. The adoption of Common Core Standards in English Language Arts and Literacy has highlighted those skills required to understand and work with informational texts. 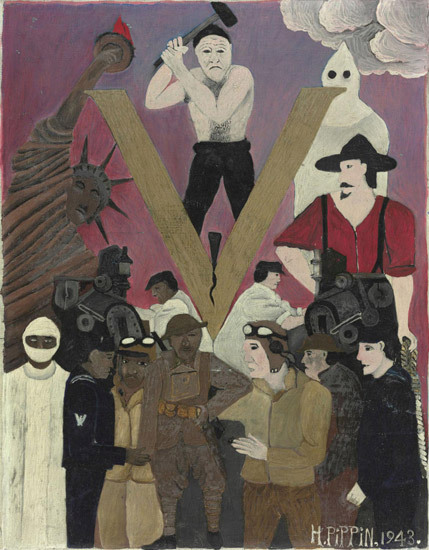 The visual arts are viewed as alternative informational texts; and when also considered as primary source objects, works of art present unique opportunities to work with Common Core skills. This lesson will focus specifically on determining central ideas, supporting inferences and analyses with textual details, and comparing sources for specific events. What can a portrait photograph reveal about its subject? What thoughts, feelings, and lived experiences are suggested by the subject’s gaze, facial expression, posture, or clothing? Unlike a painted portrait, a photograph happens in an instant. Photographs have the power to capture us in authentic moments that evoke joy, empathy, surprise, or fear. 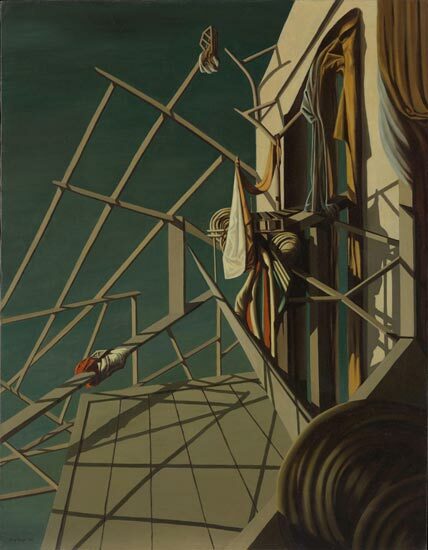 At their best, they inspire the viewer to stop and think about the moment of human life represented in the picture. 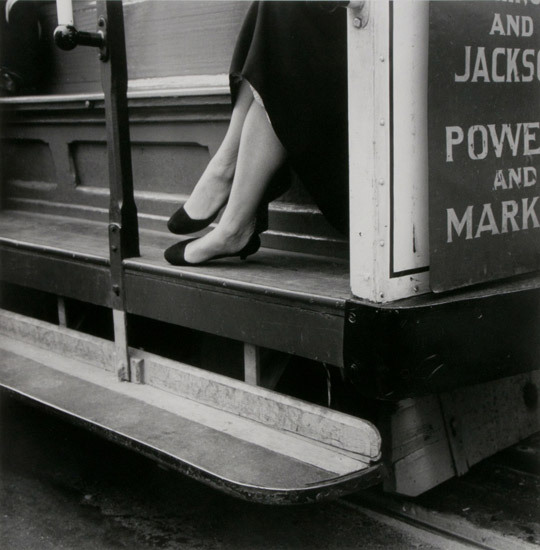 In this lesson, students are invited to “step inside” a photographic portrait. 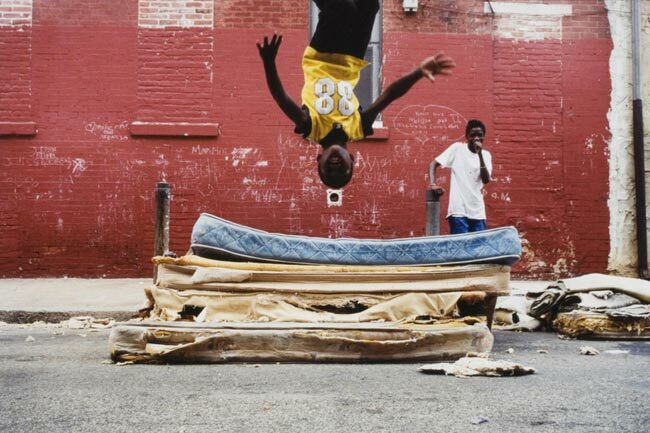 They will use visual evidence to imagine the perspectives of both the subject and the photographer and to tell their stories. 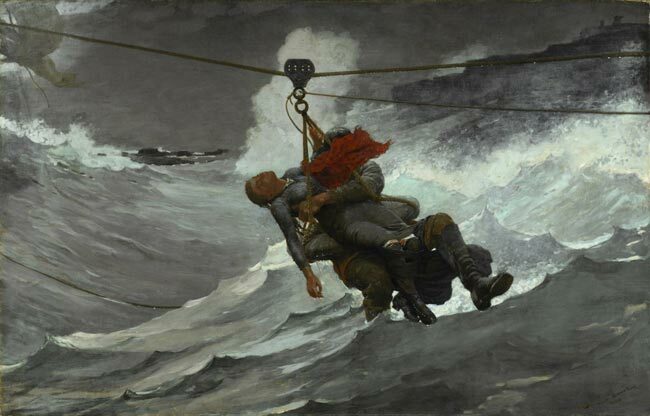 Artists often invite us into their paintings so that we might imagine ourselves stepping inside the picture frame and experiencing it firsthand. Some painters take this invitation to another level by painting details with such precision that viewers are tricked into believing the objects, people, and setting are real. 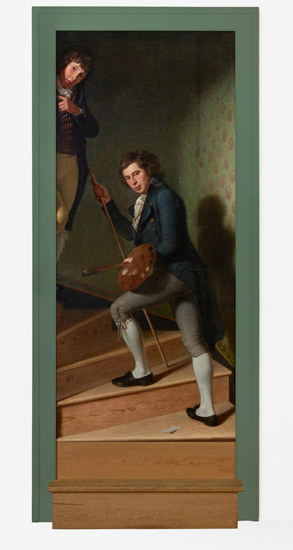 These highly realistic paintings, known as trompe l’oeil, provide an ideal opportunity for students to respond to art by assuming the roles and voices of the painted figures. Symbols are all around us. They are a natural part of our language and of the objects of our culture. In fact, our ability to communicate would be limited without the use of symbols. A Symbol is a person, place, or object that represents something beyond itself. Symbols possess standard interpretations, which are generally accepted by a culture, and also personal interpretations, which vary from one person to the next. These interpretations allow us to use symbols to examine other cultures and other viewpoints. Of the many connections between mathematics and art, none is stronger than the shared concept of symmetry. Mathematicians find symmetry pleasing in geometry, physicists find it pleasing in the study of motion, poets appreciate it in the play of words, and artists employ it in the creation of beauty. The shift to implementing Common Core standards in schools has placed new emphasis on helping students develop critical thinking skills. While the use and definition of these skills continues to evolve. 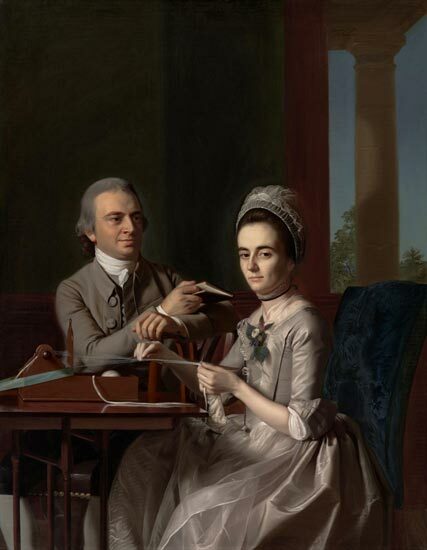 The power of women is a common theme in art, and this lesson examines that theme using images from the National Endowment for the Humanities Picturing America image set as well as from the Philadelphia Museum of Art. 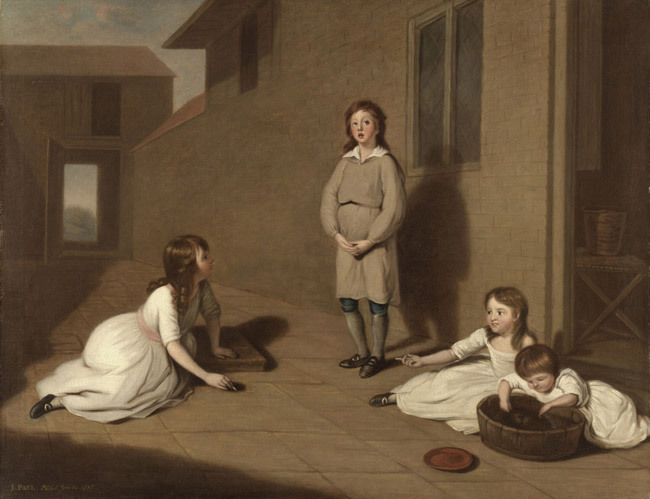 Each of the works in this lesson also promotes the social agenda of the artist. Students will see connections to social issues, and will see how the artist/photographer uses details to reveal inner strengths. Armor is about protection – not to prevent the wearers from getting hit in battles or tournaments, but rather to let them take the hit – and survive. 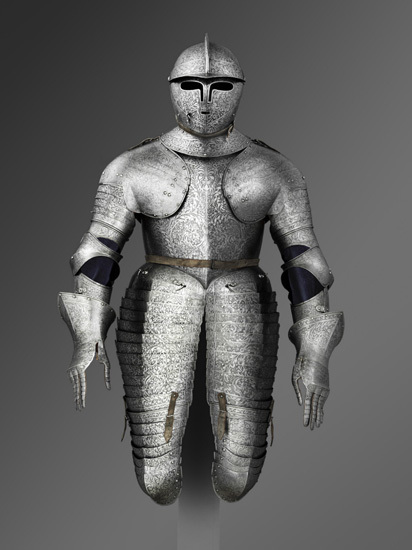 In addition to needing to be protective, armor also needed to let a knight move as freely as possible. This is as true about today’s armor, using composite materials and high-tech innovations, as it was true in the Renaissance. 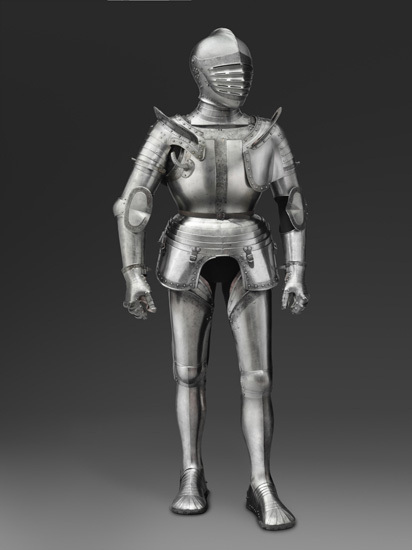 This lesson entices students to think critically about the decisions that lie behind the construction of armor from sixteenth- and seventeenth-century armor, including 21st Century Critical Thinking Skills of making judgments and decisions and using systems thinking. 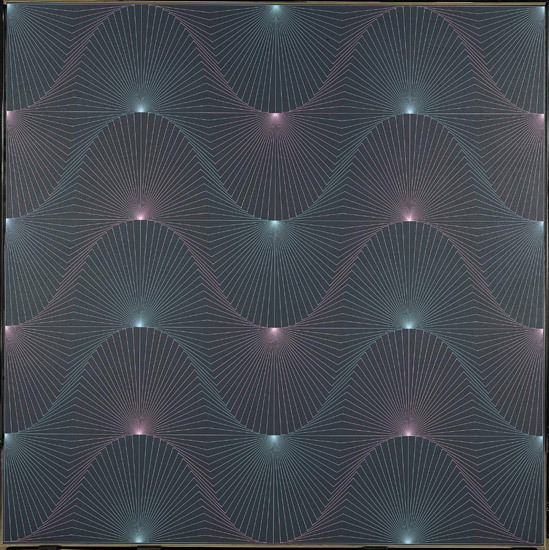 Both artists and mathematicians use grids to help them understand and manipulate space. Spatial ability, which is the ability “to generate, retain, retrieve, and transform well-structured visual images” in two and three dimensions is fundamental to both domains, and has been found to be a key indicator in the long-term academic and professional success of students. Experiences of looking at and creating works of art may help develop this skill, and can significantly enhance student math achievement, as documented by the Framing Student Success: Connecting Rigorous Visual Arts, Math and Literacy Learning program that integrated and studied the effects of high-quality standards-based instruction in the visual arts, math, and literacy in three New York City public schools. This lesson asks students to use grids to think and create in two and three dimensions by looking, drawing, and making. Recent research has shown that we can build innovative thinkers by reinforcing a set of thinking tools or skills, including such skills as Observing, Abstracting, Pattern Recognition, Modeling, Transforming (among others). This lesson plan is the second in a series that is focused on using art to enrich instruction in these critical skills. The research on which this information is based can be found in many sources, perhaps best summarized in the book Sparks of Genius: The Thirteen Thinking Tools of the World's Most Creative People by Robert and Michele Root-Bernstein. Recent research has shown that we can build innovative thinkers by reinforcing a set of thinking tools, including such skills as observing, imagining, pattern recognition, modeling, and transforming. As these skills can be taught, it makes sense that we can help students become the creative thinkers that we will need in the twenty-first century. We constantly see patterns all around us, and our brains organize our experience of the world through the recognition of these patterns. Consider something as basic as a joke: tell a “knock-knock” joke to a partner. Tell a second one. The pattern becomes obvious. Now tell your partner that you have one more, but your partner should start. This time the joke is in the confusion that results when the pattern is disrupted. In fact, most jokes involve the expectation of some sort of pattern which is invariably broken to form the joke. Patterns not only help us make sense of the world, they allow us to form expectations and predict outcomes. Recent research has shown that we can build innovative thinkers by reinforcing a set of thinking tools, including such skills as observing, abstracting, pattern recognition, modeling, and transforming (among others). As these skills can all be taught, it makes sense that we can help students become the creative thinkers that we will need in the twenty-first century. This lesson plan is the fifth in a series that is focused on using art to enrich instruction in these critical skills. The research on which this information is based can be found in many sources, perhaps best summarized in the book Sparks of Genius: The Thirteen Thinking Tools of the World’s Most Creative People by Robert and Michele Root-Bernstein. 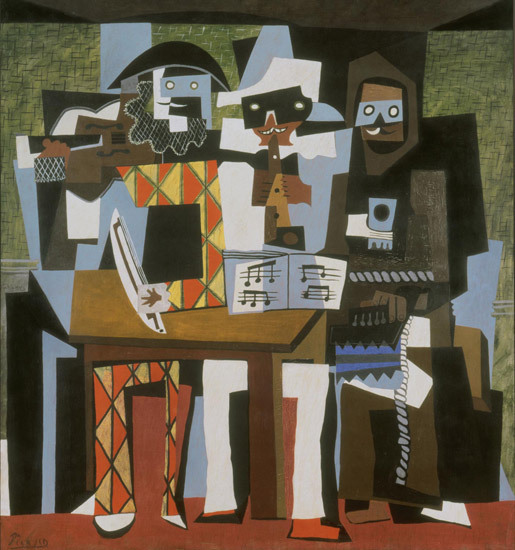 This lesson plan is the sixth in a series that is focused on using art to enrich instruction in these critical skills. The research on which this information is based can be found in many sources, perhaps best summarized in the book Sparks of Genius: The Thirteen Thinking Tools of the World’s Most Creative People by Robert and Michele Root-Bernstein. Recent research has shown that we can build innovative thinkers by reinforcing a set of thinking tools, including such skills as observing, abstracting, pattern recognition, modeling, and transforming (among others). As these skills can all be taught, it makes sense that we can help students become the creative thinkers that we will need in the twenty-first century. This lesson plan is the seventh in a series that is focused on using art to enrich instruction in these critical skills. Recent research has shown that we can build innovative thinkers by reinforcing a set of thinking tools, including such skills as observing, abstracting, pattern recognition, modeling, and transforming (among others). As these skills can all be taught, it makes sense that we can help students become the creative thinkers that we will need in the twenty-first century. This lesson plan is the eighth in a series that is focused on using art to enrich instruction in these critical skills. Recent research has shown that we can build innovative thinkers by reinforcing a set of thinking tools, including such skills as observing, abstracting, pattern recognition, modeling, and transforming (among others). As these skills can all be taught, it makes sense that we can help students become the creative thinkers that we will need in the twenty-first century. This lesson plan is the ninth in a series that is focused on using art to enrich instruction in these critical skills. Adapted and expanded from the 2011 Philadelphia Museum of Art teaching kit, Looking to Write, Writing to Look. We live in and experience landscapes every day—at school, at home, at work, on the commute, and through many other settings and experiences. Often, we don’t pay much attention to these “everyday landscapes,” but just as often they hold special meaning for us. Our personal landscapes may bring a sense of comfort, peace, or drama; and may even strike us an extraordinarily beautiful. Artists can help us learn to explore and examine our surroundings. What can we learn by taking the time to look carefully at the world around us? 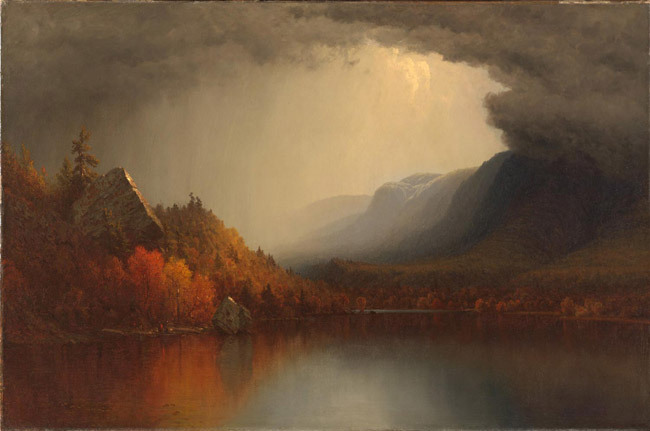 What can we take away from observing artist’s depictions of landscapes they have experienced or observed? This lesson challenges students to look closely and examine different landscapes and imagine they are experiencing them firsthand. Using primary sources encourages the researcher to form his/her own conclusions, rather than relying on the conclusions expressed by others in secondary sources. For more information, please contact Education: School & Teacher Programs by phone at 215-684-7580, by fax at 215-236-4063, or by e-mail at .